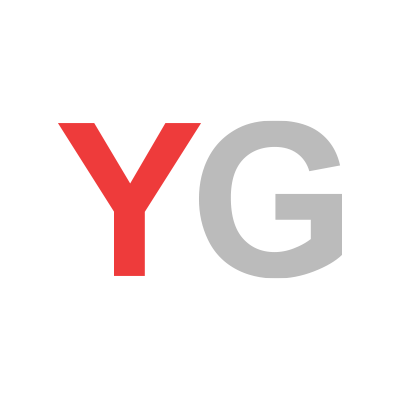 May 19, 2017, 2:12 p.m.
A new survey from YouGov Omnibus and Keep Britain Tidy indicates that millions of Britons are buying bottles of water when they would rather carry a reusable one and get free tap water refills. The news, which was reported in the Guardian and Daily Mail among others, revealed seven in ten (70%) believe tap water should be more freely available, so that people don’t feel forced to have to buy bottled water or even go without when they’re not at home. 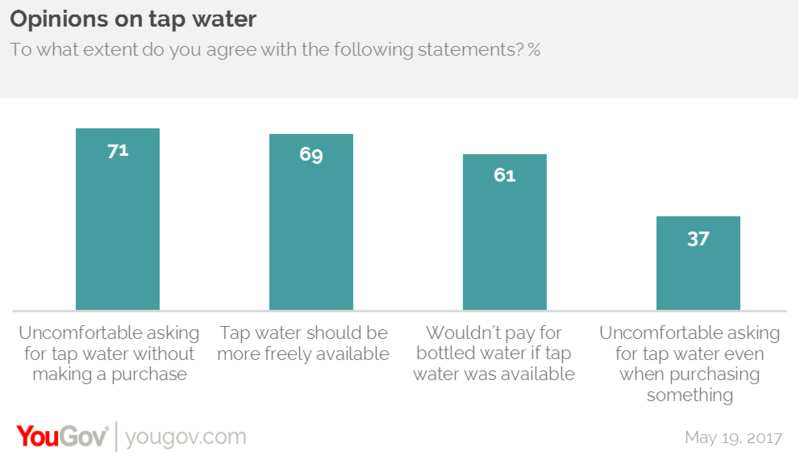 The YouGov Omnibus study showed that 67% of respondents felt uncomfortable asking for free tap water without buying something else and more than a third (35%) felt awkward asking for it in a reusable bottle even if they were making a separate purchase. This may be due to the fact that only a fifth (22%) know their rights when it comes to businesses and buildings providing free water to the public. According to Keep Britain Tidy, current UK legislation requires all licenced premises to provide free drinking water to customers, however, a loophole in legislation means businesses are within their rights to charge for the use of a glass. Six in ten (62%) said they wouldn’t pay for bottled water if tap water was available, and almost three quarters (73%) say they would view a restaurant less favourably if they didn’t give them (or the person that they were with) tap water on request. That said, most people do think that there advantages to carrying around your own bottle. Just over three quarters (76%) say there are benefits to it, including saving money (26%), helping the environment (27%) and always having drinking water on the go (23%). However, almost as many (72%) feel that there are inconveniences to it. The downsides include having to carry it around (41%), having to remember to clean it (14%) and lack of access to water to fill it up when out and about (17%).